rom time to time, we find a brand that we utterly adore for their unique blend of innovation and commitment to quality, and Barco Uniforms is one of those brands. This nearly 100-year-old medical uniform manufacturer has been setting trends and developing innovative workwear solutions for nurses and doctors since the 1920s, and was the first to merge fashion with uniform design in 1940. In fact, Barco was the first brand to create nurse’s uniforms out of nylon, leading to the classic mid-century nurse attire that became so iconic of the era. Throughout this period, Barco implemented the same yarns and fabrics used in the fashion world in its nurse’s uniforms, creating signature styles that informed the industry as a whole. But what makes Barco so beloved among nurses and other medical professionals is that they work hard to remain relevant to the modern nurse. Indeed, they’re the brand behind the ultra-popular Grey’s Anatomy™ scrubs, but they’ve also partnered with Disney in the past to make officially licensed work apparel, and make uniforms for many of our favorite restaurant chains. Barco launched its line of Grey’s Anatomy™ apparel in 2007. The collection features various scrubs and medical uniforms equipped with four-way stretch and sophisticated styling. 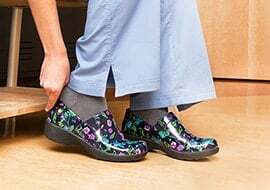 These comfy scrubs are beloved for their super-soft feel and flexibility, but they also have plenty of performance-enhancing features — moisture-wicking fabrics, for example — for smart wear. In addition to Barco’s popular Grey’s Anatomy™ uniforms, they also make an assortment of everyday scrubs as part of their Barco ONE collection. These revolutionary, temperature-regulating Barco scrubs are made with unique materials that keep you totally cool on the job. Using ArchTech™ performance fabric, these scrubs are naturally moisture-resistant and feature smart features like perforated panels to keep you comfortable. Made with recycled polyester fibers, Barco ONE scrubs are also eco-friendly. 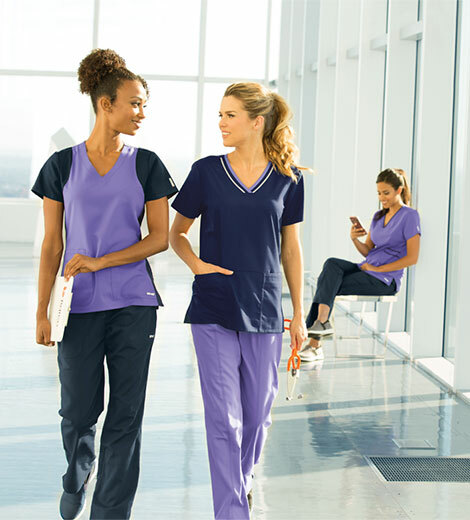 Plus, just like all Barco uniforms, Barco ONE offers stylish scrubs that are perfect for all personalities. On-trend colors and flattering fits make this collection a popular pick among men and women. Oh yeah, and did we mention that the collection features tons of fun, patterned scrubs that match your personality? For the perfect fit, make sure to reference the Barco Size Guide. Barco is also a popular choice among those looking for comfortable, stylish and high-quality lab coats. Their women’s lab coats are especially desirable for the modern medical professional because they feature princess seams, which create a more flattering, fitted look. Barco also makes plenty of unisex and men’s lab coats with classic fits for those who prefer things comfortable and simple. When you explore our selection of Barco Uniforms scrubs and medical apparel, you’ll discover various options that go far beyond the standard scrubs. For example, Barco makes classic scrubs dresses that are appropriate for medical professionals who need the comfort of everyday scrubs while adhering to a more demanding dress code. These nurse dresses have three-quarter length sleeves for a classic feel. As if making high-quality and stylish scrubs and apparel wasn’t enough, we love Barco for many other reasons, especially their focus on philanthropy. 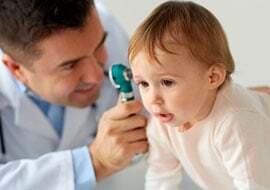 The company supports the Barco Nightingales Foundation, which works to celebrate those in the nursing profession by helping children in need throughout the world. The Nightingales Foundation was named after nursing pioneer Florence Nightingale and was founded by Barco Uniforms Chairman and Owner Michael Donner and his wife Frida. Since its inception, the foundation has helped over 3500 children with life-changing surgeries, sponsored over 1000 kids with cancer to attend camp and served over 7,500 school children and their teachers with hot lunches in remote Haiti. The foundation also donated seven solar water wells, providing clean water for over 40,000 children and their families. 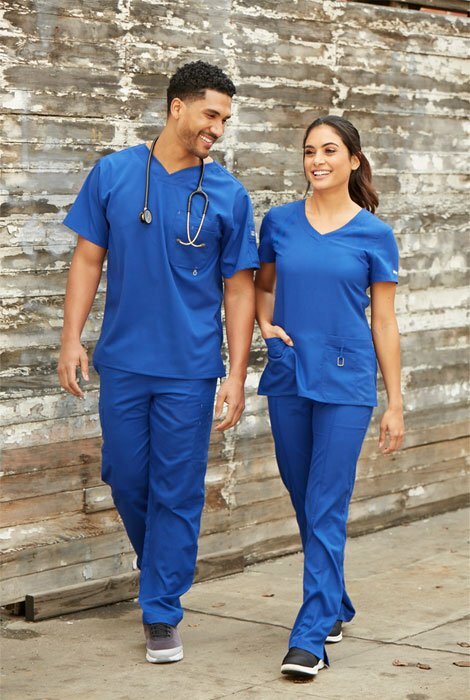 At the end of the day, if you’re looking for a scrubs brand that’s going to make you feel good in more ways than one, there’s no better choice than Barco Uniforms! Every time you don a pair, you can feel good about supporting this cause.